Sadly I have not heard any stories about Jacob so all we have are the following facts. 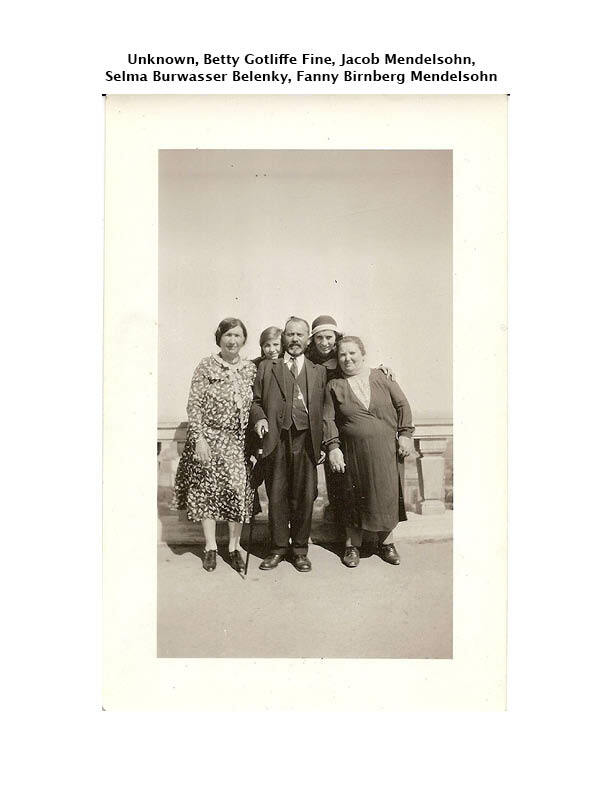 Jacob Yacov/Yehuda Mendelsohn was born in July of 1955 according to his ?. 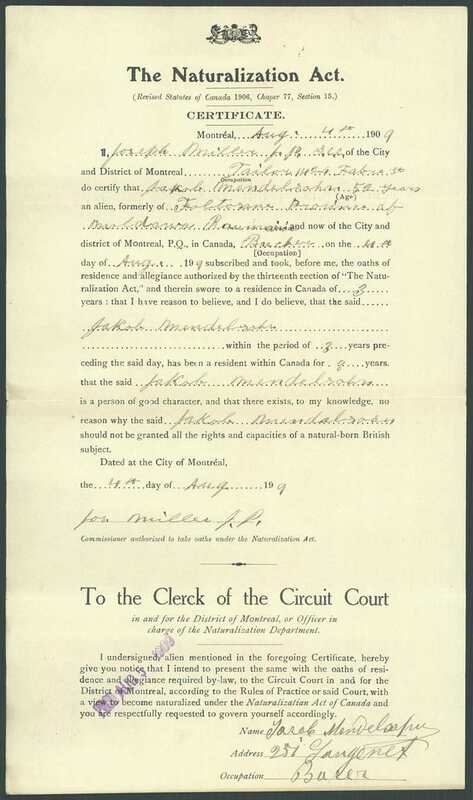 His Montreal Naturalization papers state he came from Falticeni, Province of Moldova, Romania. 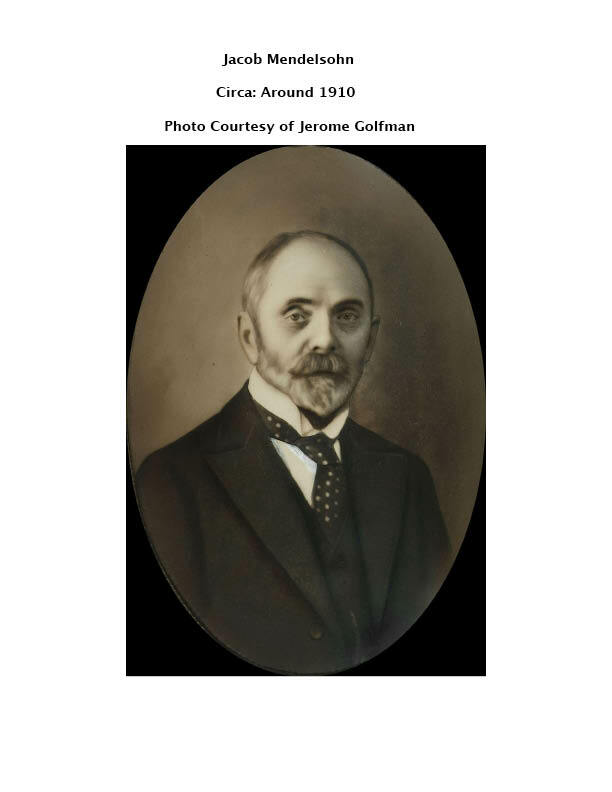 His papers also state he came from Wallachia. According to his gravestone, Jacob’s father’s name was Fishel. 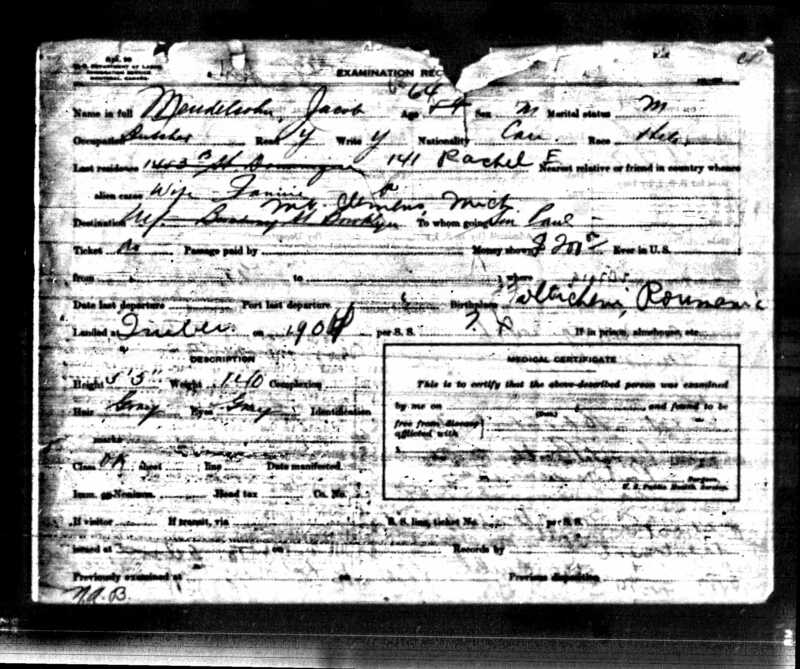 Jacob arrived in Montreal on July 1st, 1905. He sailed from Liverpool, England on the ship Southwark. 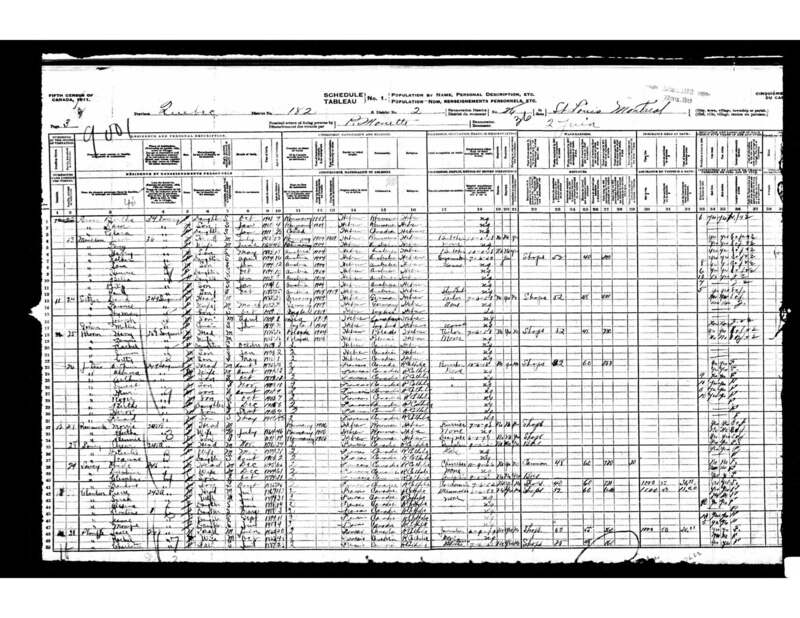 He arrived with Fannie, Paul, Rosa, Sarah, Harry, Esther, Sam, Annette, Bella & Philip under the name of WEISSBERG/WEINBERG. 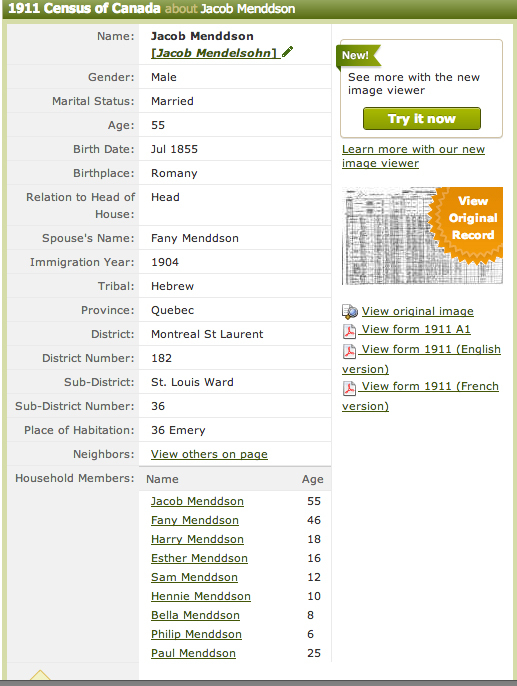 By the 1911 Montreal Census, they were all back to using the Surname of Mendelsohn. My Dad told me he believed his father Pincus/Paul was going to be drafted so they left town and boarded the ship under a different name. 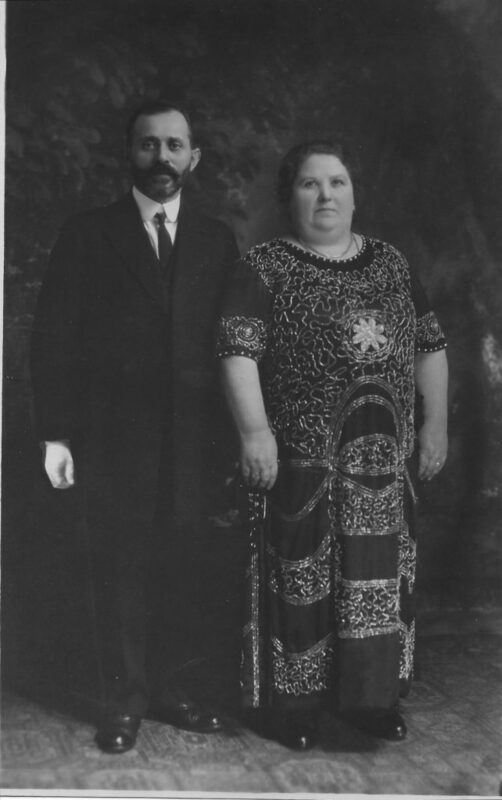 A cousin told me she heard that WEISSBERG/WEINBERG’s were related to Fanny/Feiga Birnberg Mendelsohn but I have never been able to confirm this. 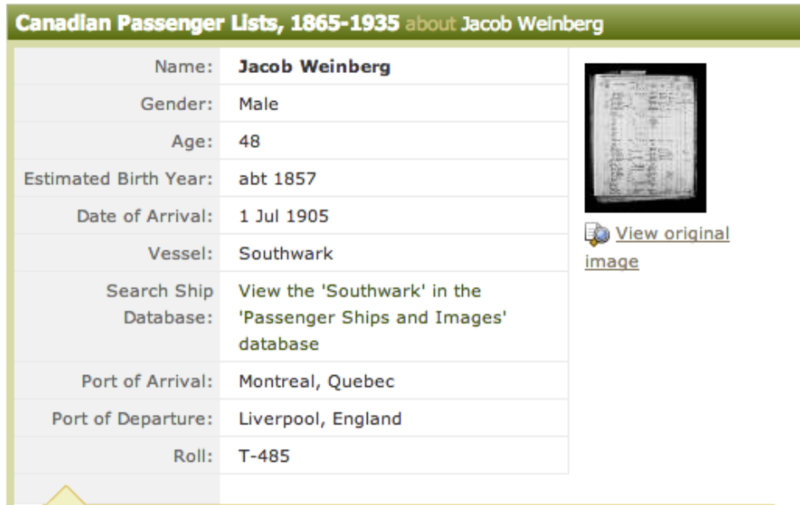 According to the 1905 passenger ship list, Jacob was a Merchant. 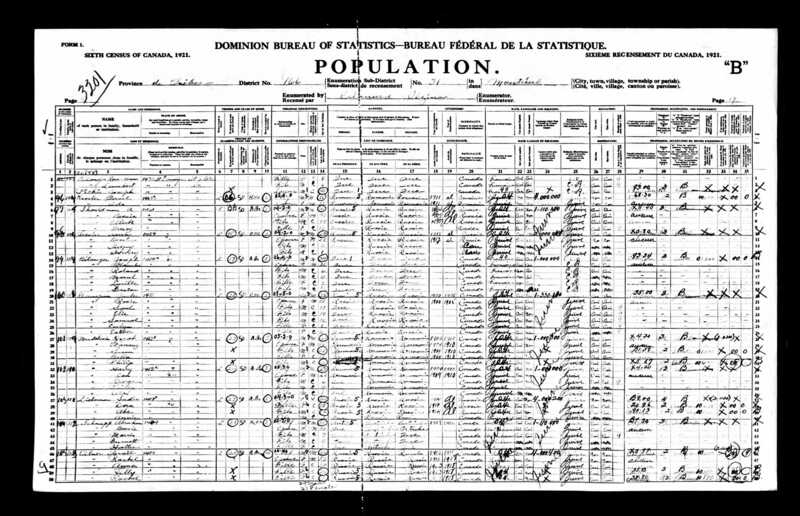 Jacob was a Butcher in Montreal, Quebec according to the 1911 census and was living at 36 Emery, Montreal . 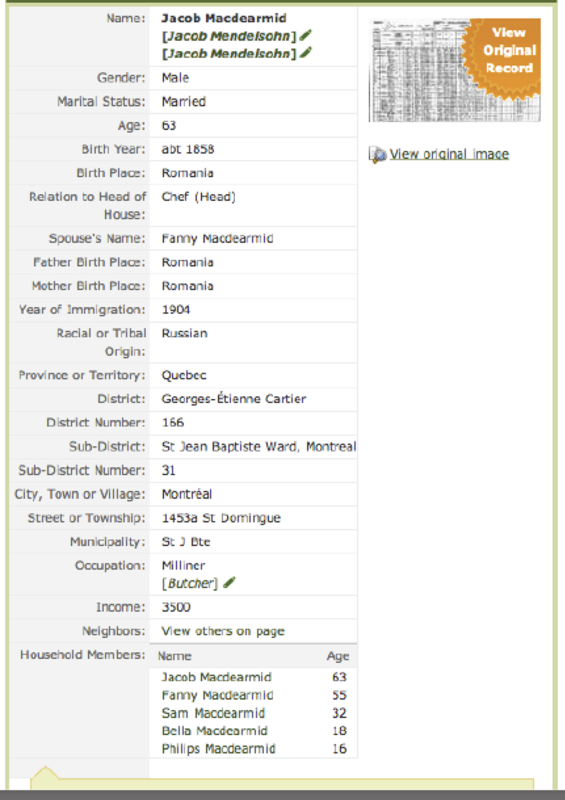 According to the 1921 Montreal Census Jacob was living at 1453a St Domingue, Montreal – Milliner? Record of Aliens Pre-Examined in Canada – Jacob & Fanny visiting son Paul in Mt. Clemons, Michigan.